A fabulous active ingredient concept, a clever care program for the whole family and the comfortable velvety feeling on the skin. That is, what makes SENSiLINE®-products with Meristem- Extract the ideal companion throughout the day – for all family members, with sensitive and dry skin. 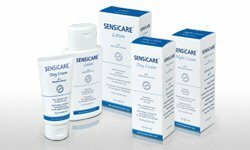 SENSiCARE® is our line for dry and very dry skin with Meristem-Extract: calming & soothing care for day and night. 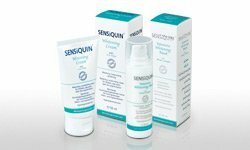 Our tested SENSiQUIN® products work whitening & bleaching for your skin. Our SENSiGARD® line with Meristem-Extract we recommend for very sensitive baby skin. The extra mild care for your baby – and for yourself as well.